Before: You’d simply tail mom and dad, who are in charge of leading the entire family from the entrance, through all the confusing counters, and to your designated plane seats. Now: Bakit ang daming counters!? Security ba muna bago immigration?! NO ONE TOLD ME I HAD TO PAY TRAVEL TAX WHERE WILL I GET MONEY?! The lines are so long—what if you don’t make it in time for boarding? You should’ve arrived 4 hours early like what dad always does! Your parents were often in charge of navigating. Even if your family was the type who preferred the safety of organized group tours, your folks still made sure you all made it back to the bus or meeting spot on time. Now you need to figure out everything on your own—how to read maps and signs, how the public transportation system works in that country, and how to make it back to your hotel in one piece. Why are there so many miscellaneous expenses in the airport alone? How do you stretch my daily budget so that you can buy more souvenirs? Hmm…street food every day to save money maybe? Wait, did you bring enough money?! With no mom as your human alarm clock (and worse—if your travel buddies are just as much of a snoozer as you are), you have to set multiple alarms to make sure you make it to breakfast and the scheduled tour. You never used to worry about packing contingency items because mom had everything you needed—baby wipes, insect repellant, medication, extra socks… almost every item for every possible emergency. Now that you’re on your own, you sift through your bag and realize you forgot to bring a lot of essentials. Yikes. You’re no longer following your parents’ default travel style. Freedom! 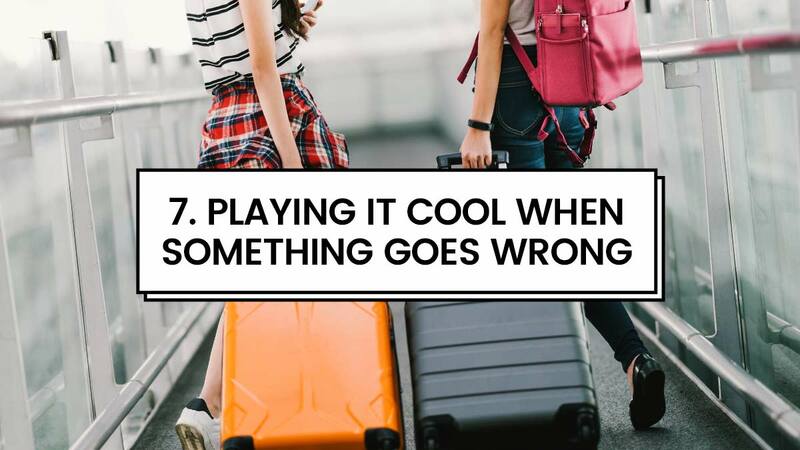 The downside is that you go through a lot of travel booboos, like getting lost in translation, overspending, forgetting to exchange your dollars, and missing the train. The upside: You discover your own personal travel style. Do you prefer traveling solo or with friends? Hostel or hotel? Tour guide or DIY? Whether your parents easily allowed you to travel without them or it took a PowerPoint presentation plus months of begging before they finally gave in, you find yourself wanting to prove your #adulting skills. The last thing you want is for your parents to worry and think that you can’t handle independence. So when something bad happens—like getting pickpocketed, losing your travel docs, or getting stalked in the subway—you downplay it when your parents check on you. You plan to tell them about hitchhiking or getting stranded alone in the train station when you return home—or maybe you’ll just keep it to yourself forever.